This tour will leave you smiling from ear to ear. 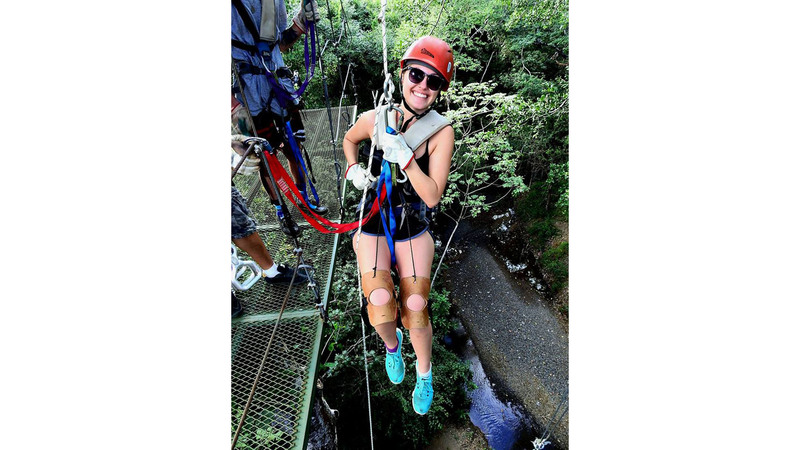 This is great fun and will get your adrenaline pumping as you enjoy the beauty of the forest and look for wildlife. 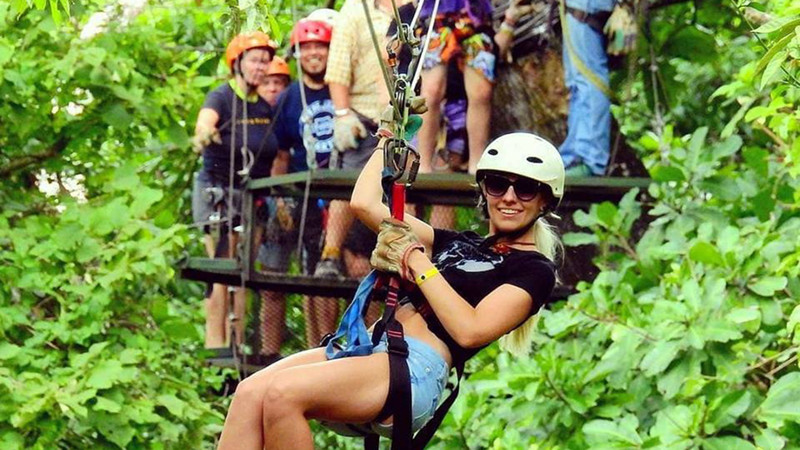 This easy, yet exhilarating and exciting experience has you zipping through the tree tops. 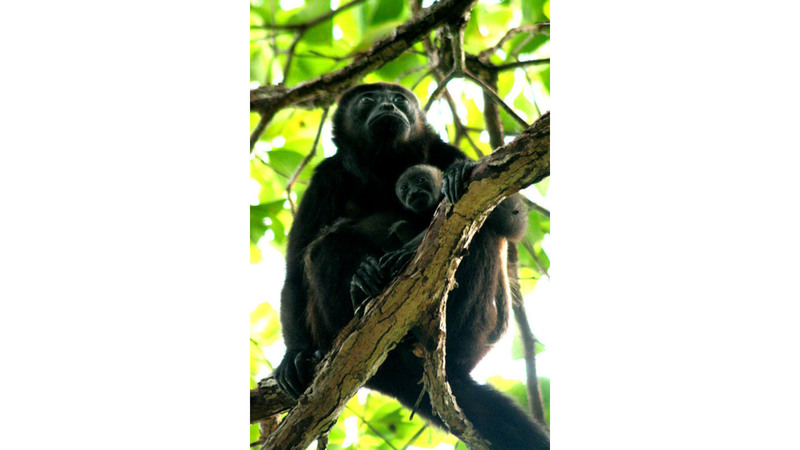 If you’re lucky, the Howler Monkeys will come out and see you zip by at some point during the tour. Guides will accompany young children in tandem, and if necessary go with an adult who needs hand-holding. Age and weight are generally not a factor. After you arrive, experienced canyoning guides will help outfit you in the gear you will need and give you a safety briefing, showing you how to position your hands and gloves and how to brake when needed. Within 15 minutes after gearing up, you will be zipping from tree top to treetop across the cables between the 11 platforms. Safety lines secure you to the platforms along the way. 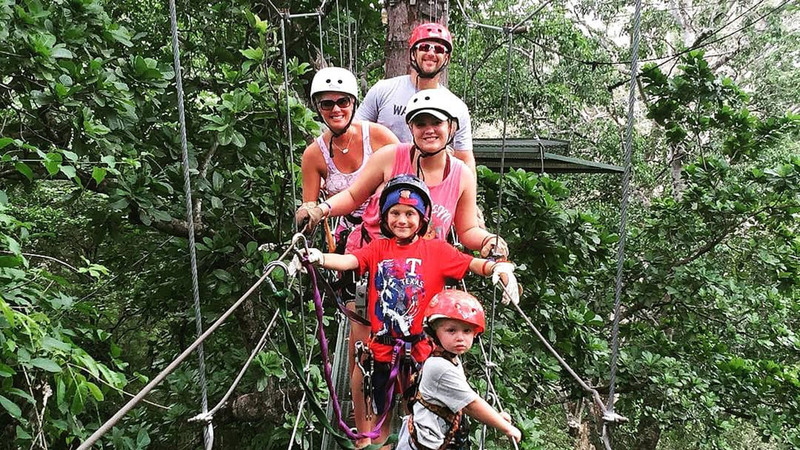 Guides do a lot to ensure that guest have maximum enjoyment – especially on the longer, lower height lines that prepare you for the later, higher platforms. By the time you get to the last platform you will feel like a pro. At the end of the day, visit the gift shop and purchase souvenirs, an ice cream bar or an ice-cold soda or beer.